Helicopter View of Your Business: When and Why do You Need It? The bigger your business or project becomes, the harder it is to manage – seems pretty self-explanatory, right? You’re going to need more employees to execute tasks, more managers to guide them, more contractors and partners to deal with. This all is the result and the sign of a company’s success, and is usually warmly accepted by business owners. However, there is a point in a project’s growth when the need of another kind emerges. This happens when a project gets too large to manage in an old way. When it feels like you’re losing control over the course of events. Your view of the project becomes obstructed by smaller issues and day-to-day tasks. Although this too is a completely normal stage in a project’s development, business owners sometimes fail to recognize it and to react properly. 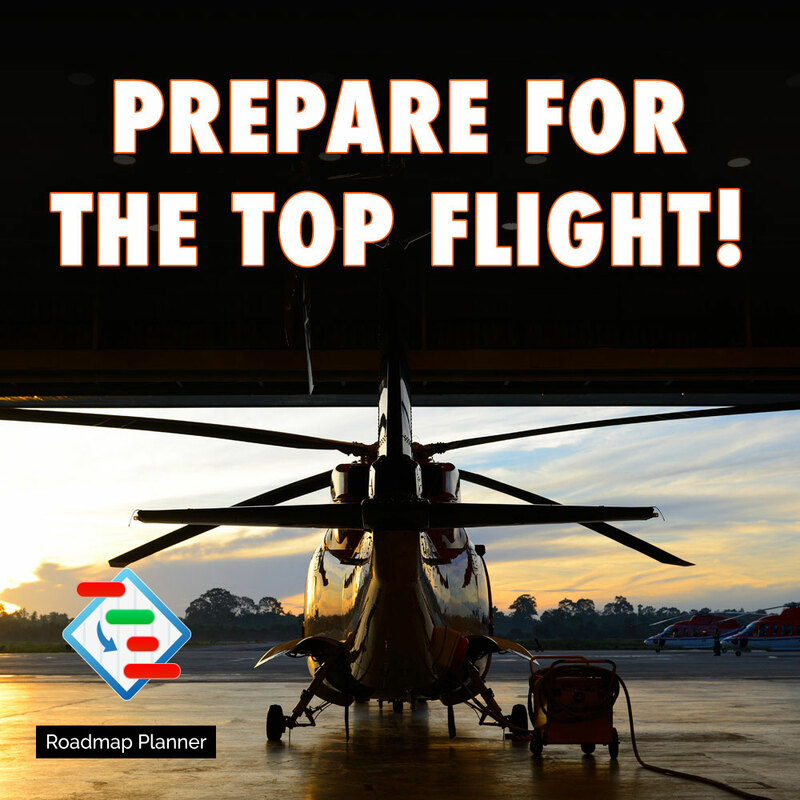 Today, we will tell you about helicopter view and how it can help your company at this important stage. Imagine yourself walking in the field towards a house seen on the horizon. Your path is clear, you can see where you’re heading and where you have come from. Now imagine that you’re walking in the forest. You know that the house is somewhere ahead, but you have no clear directions, and trees obstruct your sight. But if you manage to find a high hill or climb up a tree, you’ll see the big picture, and the direction will become clear as if you were standing in the field. The ability to see not only the forest and the trees, but also a big picture view is what’s important for a growing business. It is often referred to as “helicopter view”, “systems thinking”, or “clarity of purpose”. The concept was first implemented in the 20th century by Royal Dutch Shell Company, who’d noticed that their most successful managers all possessed this skill. Being able to see the wholes, to spot the interrelationships, to view things with a perspective and a context is extremely important for planning a strategy and, even more, for executing it properly. So how does one develop the helicopter view skill? Well, it takes a bit of imagination and climbing a ladder of abstractions. First of all, “zoom out” from the current situation – step back from short-term and urgent problems and concentrate on seeing the whole project view. Second, think about the present situation in a five or ten year perspective. Imagine different scenarios for the future, and draw strategies around them. Finally, repeat the previous steps regularly. This helps you keep the right course during your strategy formulation process, while still keeping the details in sight. Using the right tools greatly improves the effectiveness of the helicopter view. 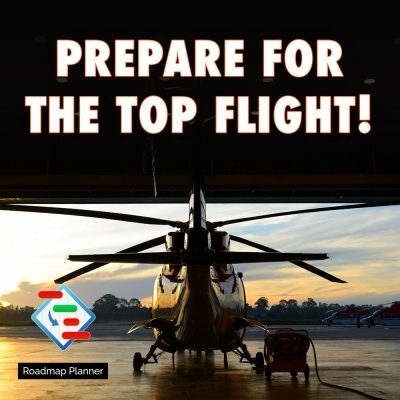 Roadmap Planner is one of them. It is a strategy building app and is designed in a way that really benefits to the big picture view. With it, you can see the whole business with its departments, their interrelated projects, important milestones, status of tasks, and other crucial information – all within a single page. This app will be a big help for anyone feeling lost and overwhelmed with day-to-day works and urgent tasks. Interested? Download it now for FREE and pave your path to success having the big picture view!